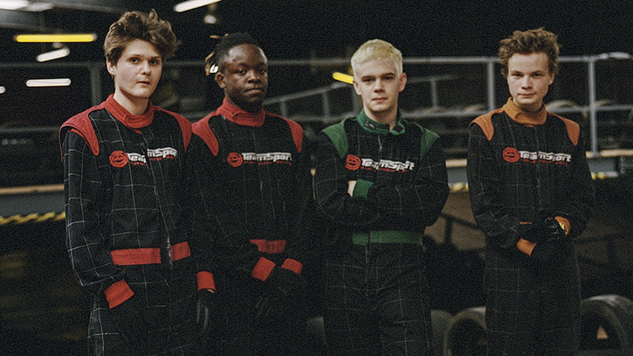 Black Midi Release Video for Disorienting New Single "Crow's Perch"
Breakout U.K. act Black Midi have upped their overall song count to a grand total of three with their newest single, “Crow’s Perch.” The standalone track follows up the releases of their previous tracks titled “BmBmBm” and “Speedway” from Rough Trade. Only a year into their career, the freshest faces in the underground scene—Geordie Greep (vocals/guitar), Cameron Picton (bass/vocals), Matt Kelvin (guitar/vocals) and Morgan Simpson (drums)—have rapidly garnered attention for their sublime live performances (which we noted as one of the best shows we saw this year at SXSW). Watch the strobing new video for “Crow’s Perch” (dir. Vilhjálmur Yngvi Hjálmarsson, aka susan_creamcheese) below, and pick your date(s) of choice to catch them on tour from the list included further down.